A lifelong resident of Western North Carolina, Savannah considers herself blessed to be able to call the beautiful Blue Ridge Mountains her home. 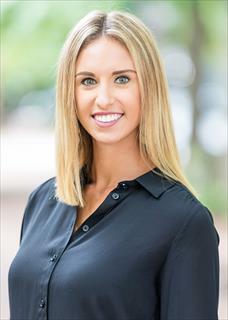 With previous experience in marketing, digital communications, business management and administration, a career in real estate allows Savannah to utilize her well-rounded skill set to her utmost potential and flourish in a career she truly enjoys. As Office Manager at Carolina Mountain Sales, Savannah’s top priority is to provide outstanding administrative support to the firm’s real estate brokers while delivering impeccable service to clients and consumers. She ensures the smooth running of the Carolina Mountain Sales office, contributes to its high-level performance through regular management of its real estate listings and sales data, and provides essential marketing support. In her spare time, Savannah enjoys spending time with her husband, Bradley, and their Labrador Retriever, Lilo – going to the lake, traveling, working out, and making memories with friends and family.